Thanks to Richard for the full set of pictures on day one! The next batch due are the Green Flash buses which are in course of delivery and not yet in service. © Martin Urquhart seen on delivery. 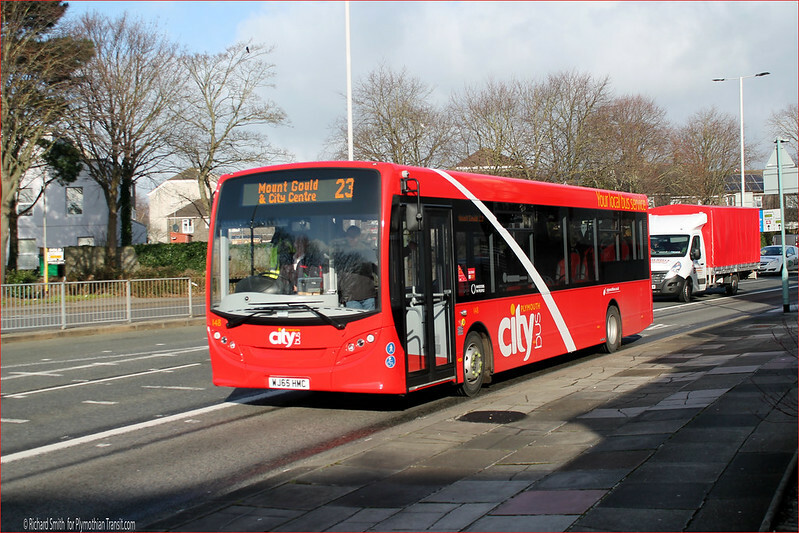 Dennis Dart 29 T129EFJ is currently at Hants & Dorset to be brought up to full DDA compliance. Others will also be making the journey over the coming weeks. 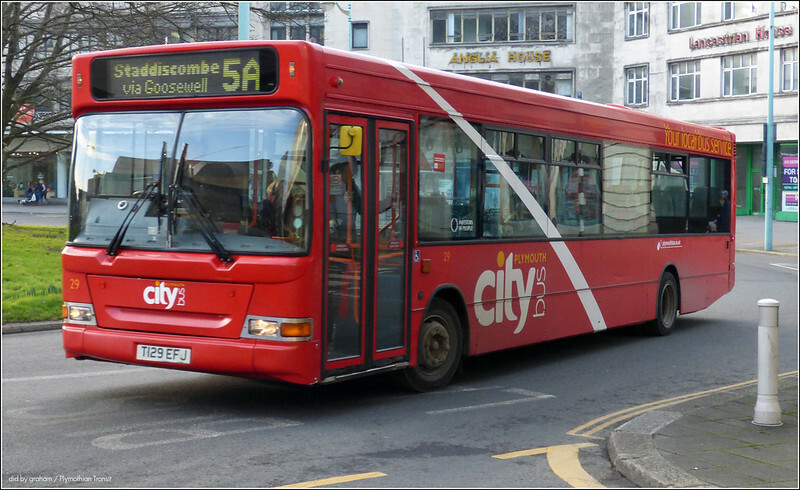 Long term off road 413 PL51LGJ is now back in service. There are 4 buses sold to Target Travel. 422 was still at Milehouse yesterday (12th Jan) parked behind the Tramshed in the Lower Yard with 430, 431, 432 and 441. Mini Darts LPD265 and LPD266 were also parked with them. Withdrawn buses Mini Dart 205 and B7 438 were at the end of the yard being stripped prior to scrapping. Finally, Dart 59 was in the Raised Depot being stripped prior to scrapping. It seems a shame to me that these weren't MMCs. They look plenty smart enough, of course, but it's a ten year old design and these look no different to 133-46 dating from way back in 2006 and 2008. 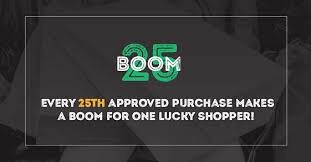 A missed opportunity, I'm afraid. I assume they didn't want to make the step up to the more expensive & complicated Euro 6 option yet. The MMC is only available in Euro 6 so if you want to stick with the Euro 5 you have to accept the old shape. Stagecoach have only just switched over to Euro 6 deliveries whilst Arriva & First are still splitting their orders a bit so Euro 6 is still not universal yet. 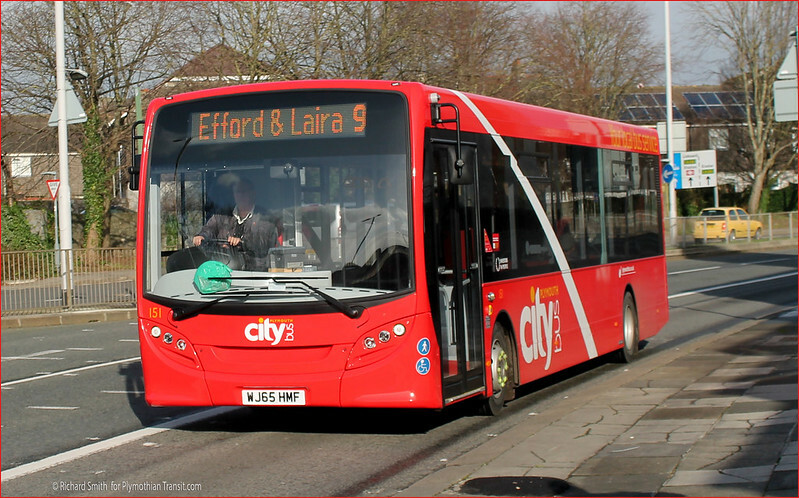 Its not an opportunity missed at all, the simple fact about it is they have over 20 Enviro 400s and some parts from them can be used on the Enviro 200(65 plates). As well as that its easier to train all your engineers, drivers on one standard designs instead of having the "old" and "New MMC" designs, it reduces costs and paperwork. 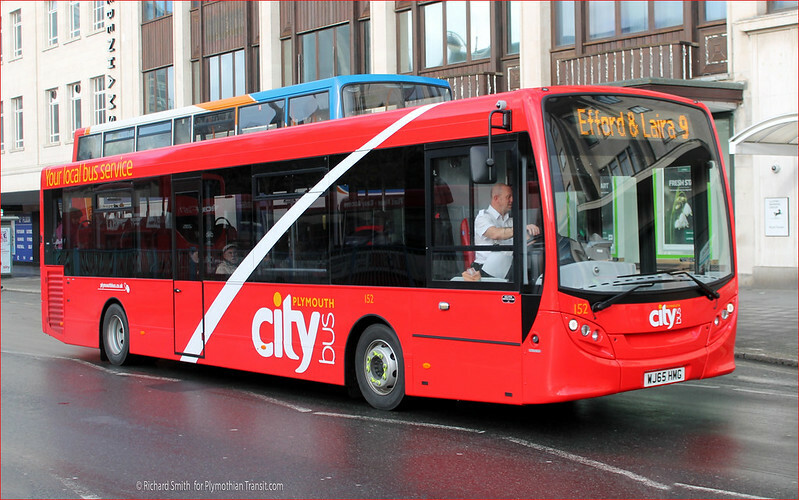 So its not such much that they probably didn't want to have the new designs, its because its such a small fleet of new buses compared to London, Oxford, Newcastle it makes sense to keep things the same as much as possible. Does anyone know why PCB went for Enviros over the Volvos such as the ones they bought in 2012? I doubt that even PCB will reveal that but one consideration could be fuel economy - B7RLEs and B8RLEs are rather thirsty! Because the Enviros are well suited to most City Bus routes whereas the Eclipses most certainly aren't! 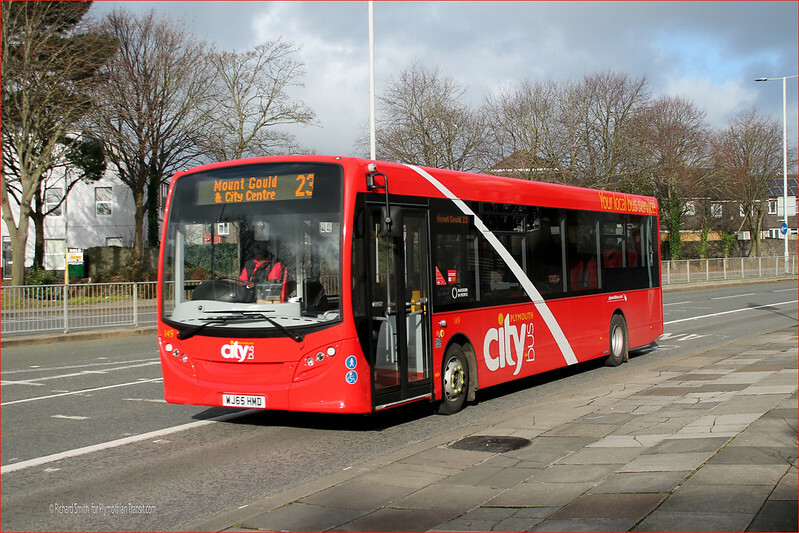 Cheaper to buy (10-15% less per bus) and much cheaper to run, my employers have some recent E200s which are delivering fuel consumption figures 50% better than we experience on heavyweight single-deckers like the Volvos. 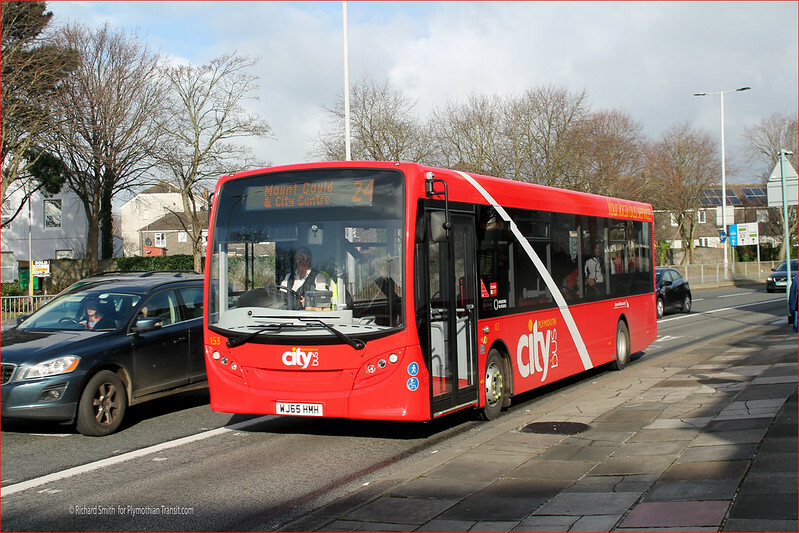 In 2012 there was a different manager who preferred Volvos over ADL's, the new manages prefers ADLs so hence why they have loads of Enviro 200s and 400s. A possibility might be fuel consumption; another might be maintenance costs. Interesting how a bit of the swoop us missing (for the side led display) on all apart from 148. Yes I noticed this too. Gone are the days when attention was paid to detail and every bus looked identical to each other except for the fleet number! 158 is the first new Enviro 200 in the Green Flash livery. It was in the paint shop at Milehouse today (20th January) looking almost ready to enter service. the eclipses were ordered under andrew wickham. 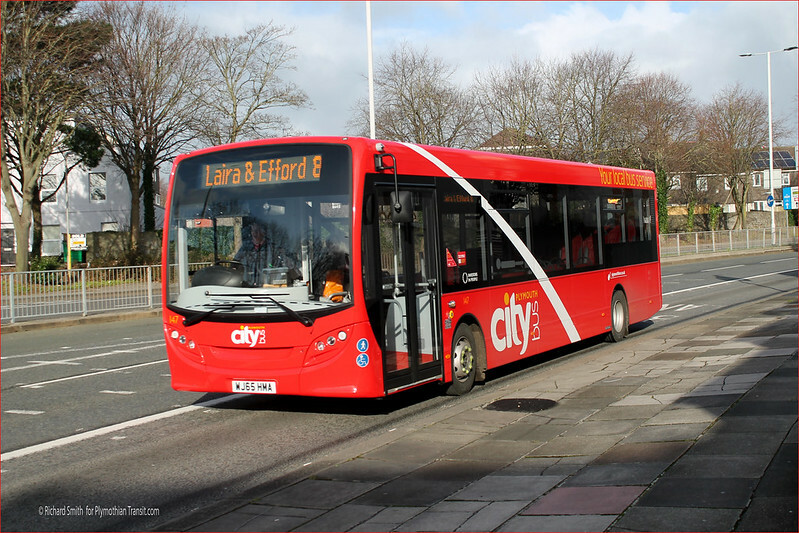 originally pcb wanted the then latest citaro, but mercedes wouldn't change the seating arrangement to 2+1, so they went to volvo instead, hence the eclipse. Looks like the withdrawal of the next batch of CityBus Darts might have started. Parked in the 'scrapline' (with withdrawn 205 and 438) in the Lower Yard at Milehouse on 30th January were 31, (just re-engined?) 33, 37, 38, 39 & 40. B7s 420 & 421 were parked at the back of the tramshed with 430, 431, 432 & 441 and the two MPDs LDP265 & LDP266. 59 was still being stripped in the raised depot and 416 was parked nearby. It looked as though the latter may be being brought back into service as a driver trainer (it was fitted with 'L' plates) but I could be wrong. 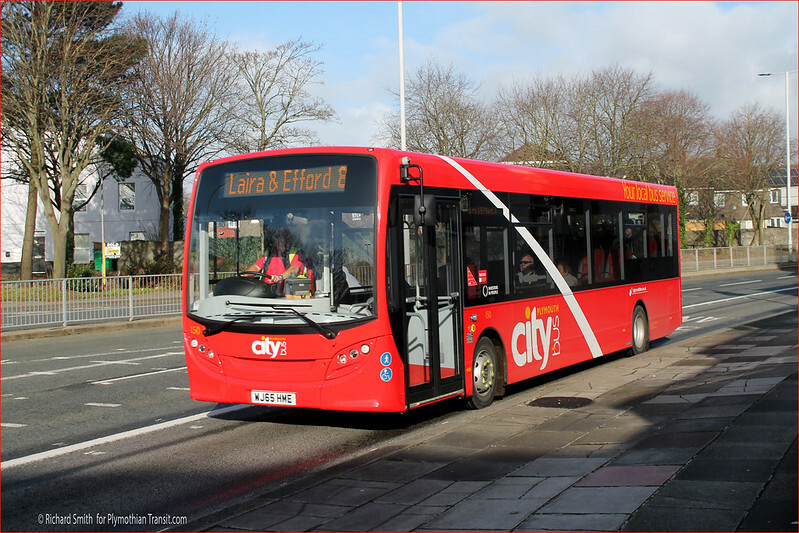 On Saturday 30 January 2016 I was travelling through Eastleigh and Citybus Dart 29 still in full livery was being refuelled at the filling station used by Xelabus near to their Barton Park depot. Unfortunately I was not driving so on the way back I couldn't divert to the depot for a look to see if it was there.